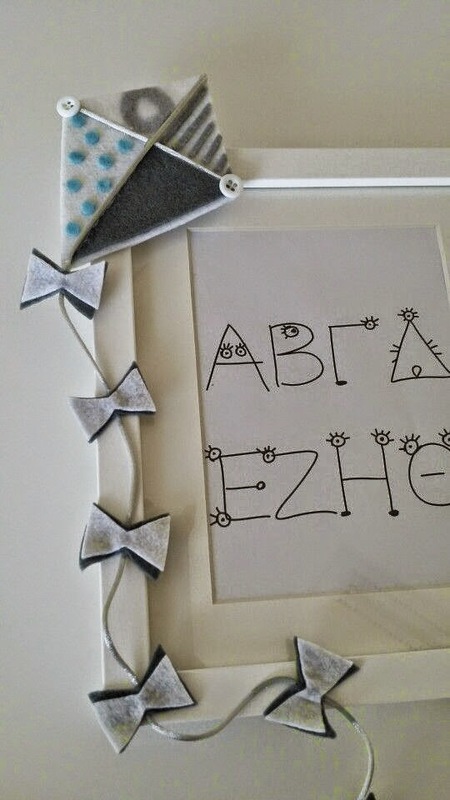 After the girly wall frames i had to make another one this time for a baby boy. 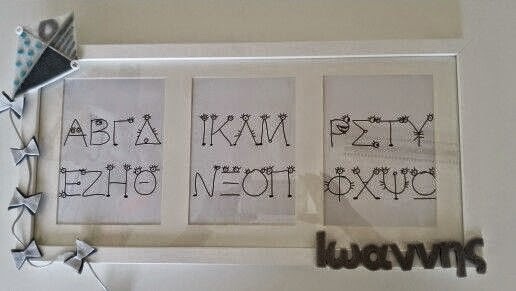 His mom wanted something plain, not to bright, a bit minimal. 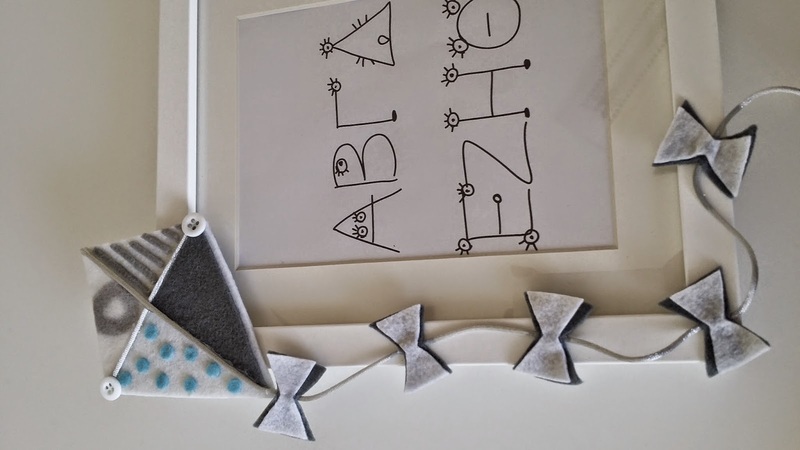 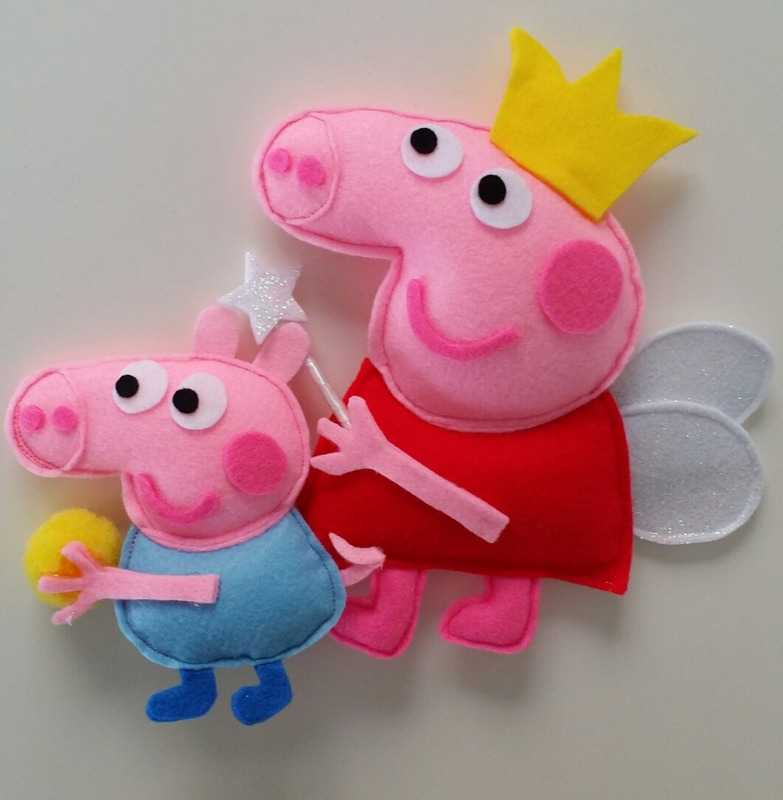 So i decided to make a felt kite and just add the baby's name. 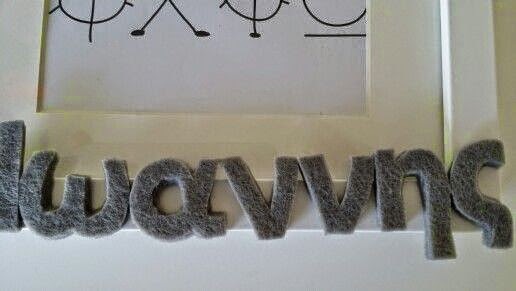 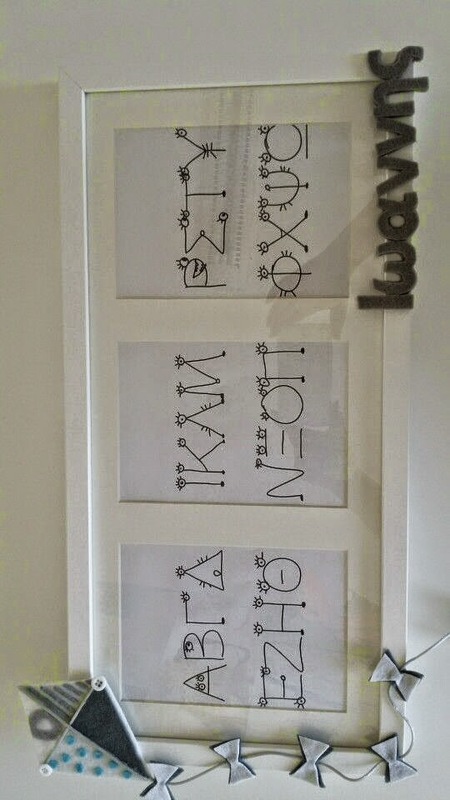 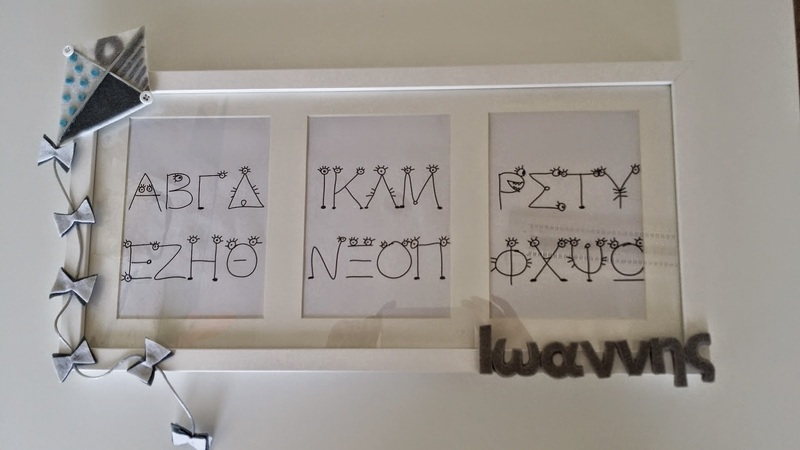 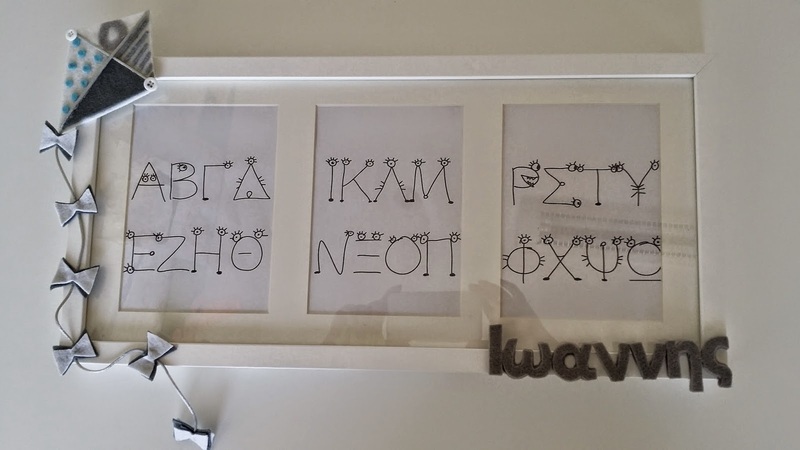 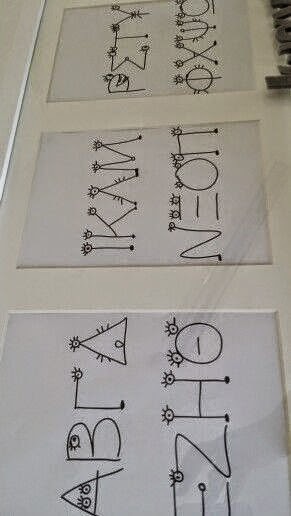 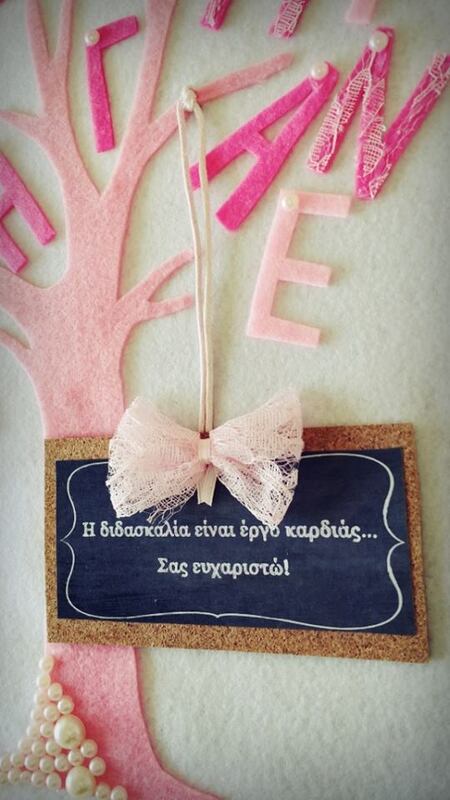 The baby's mom wanted the frame for photos,but i didn't want togive it blank, so i printed and put the greek alphabet in it.